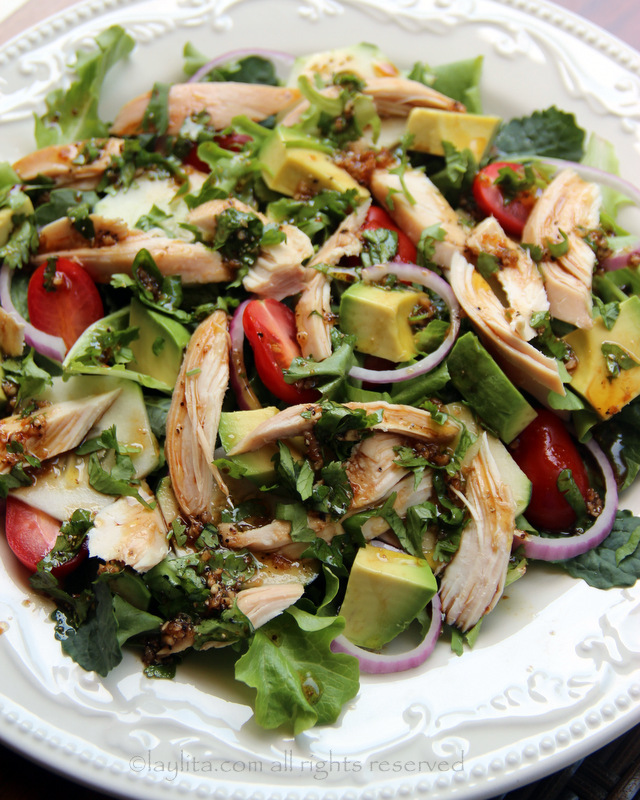 This easy and quick chicken salad is a great way to use chicken leftovers. It’s very common that when we have roasted/grilled chicken or a store bought rotisserie chicken, we always have a little left. 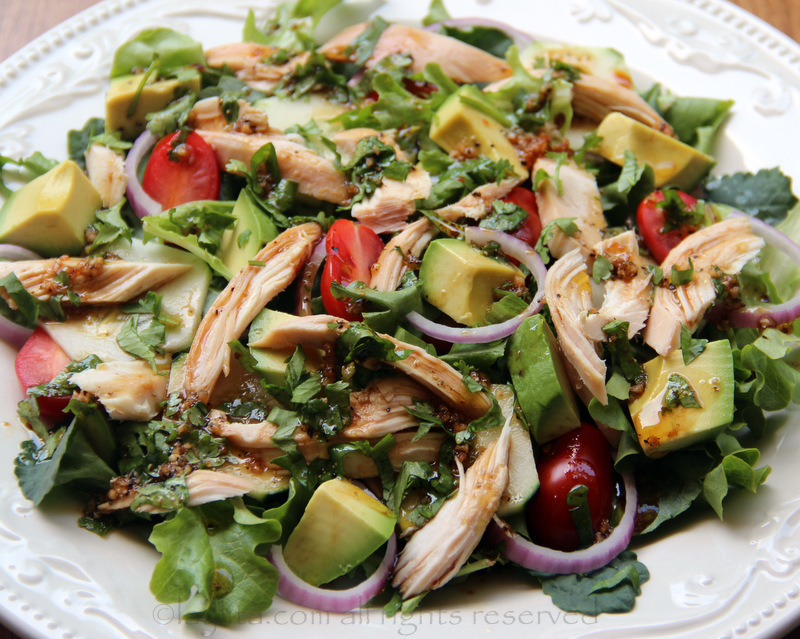 It’s not enough for a full meal, but it’s enough chicken meat to use as an addition for a salad. 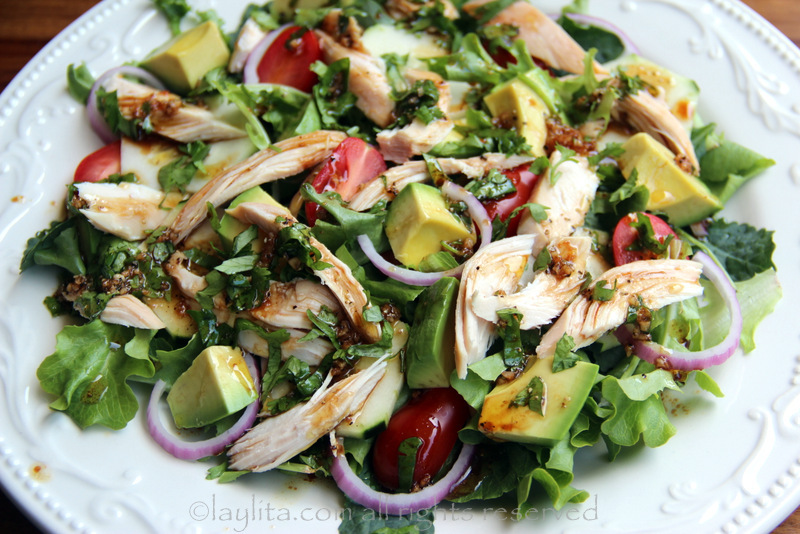 This chicken salad can work as an appetizer salad or as lunch entree salad. 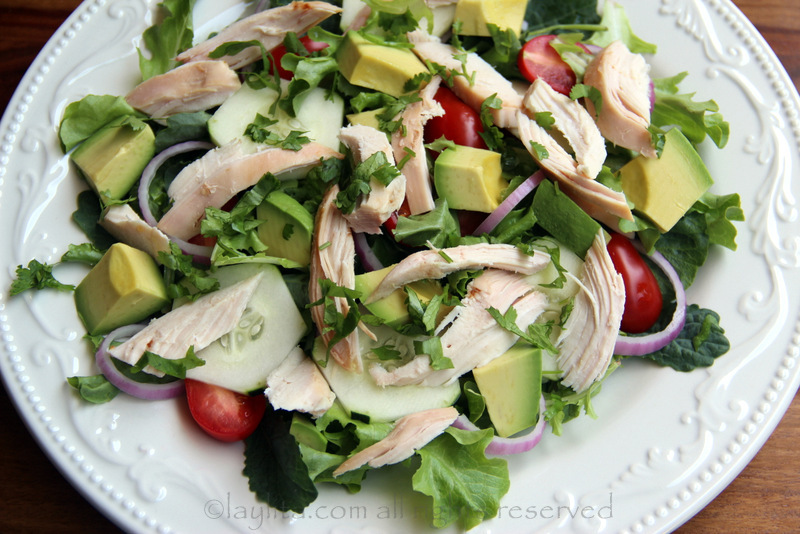 Recipe for a quick and tasty homemade chicken salad with mixed greens, avocado, tomato, cucumber, onions and balsamic cilantro dressing - a great way to use chicken leftovers for a delicious lunch salad. 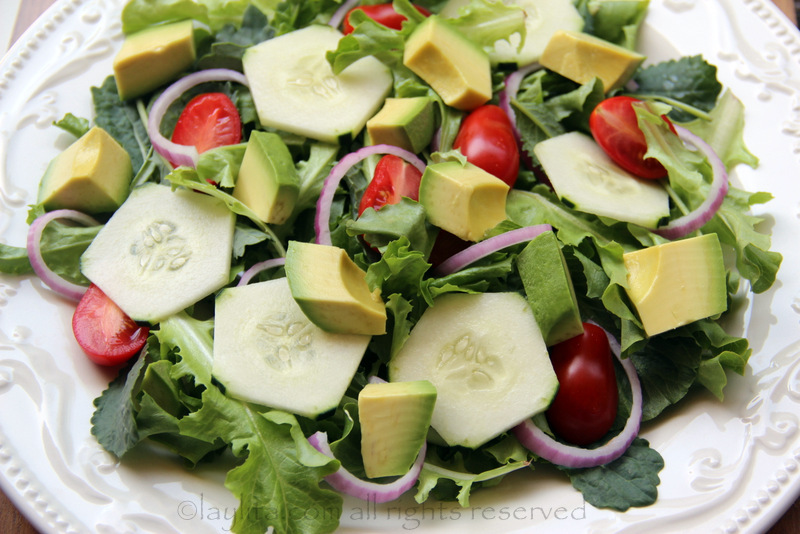 I made a quick balsamic cilantro dressing to go with this salad. 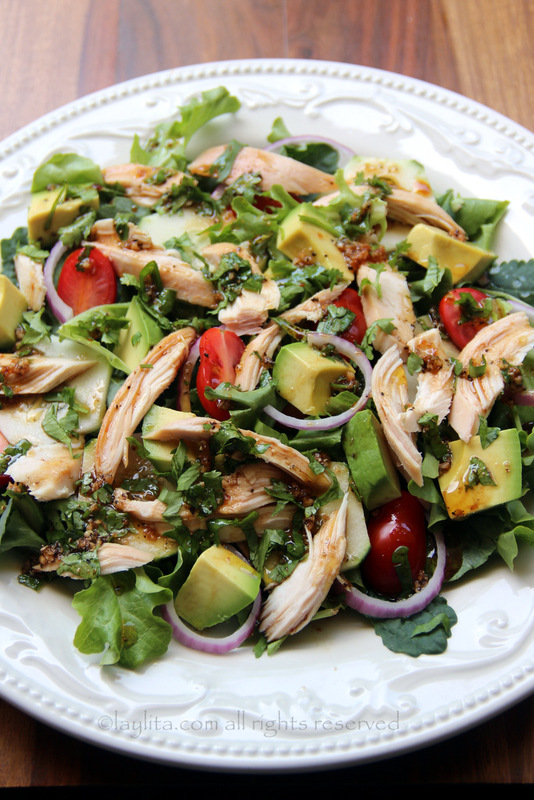 I am completely in love with the flavor combination of chicken, avocado, balsamic vinegar, and cilantro. 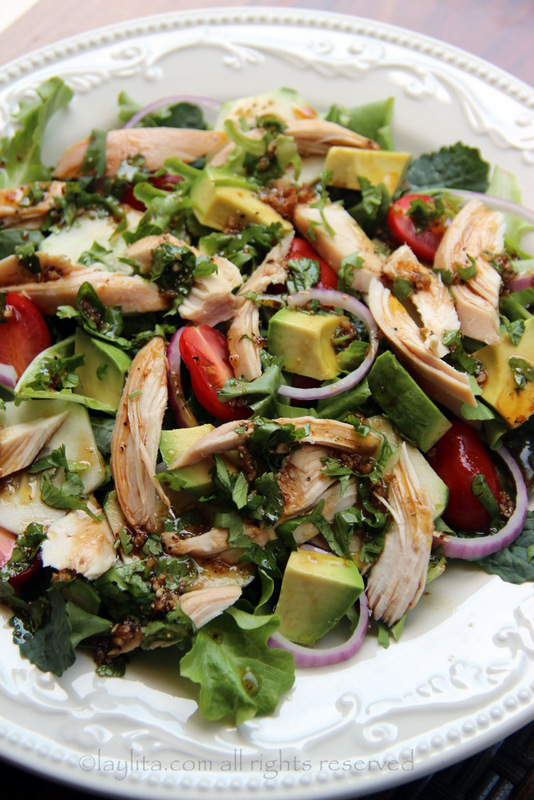 The chicken salad also has tomatoes, onions and cucumbers. You can add additional vegetables or leave them out based on your taste and what you have available. During summer grilling season I like to add leftover grilled veggies – grilled eggplant is an amazing addition to this salad. 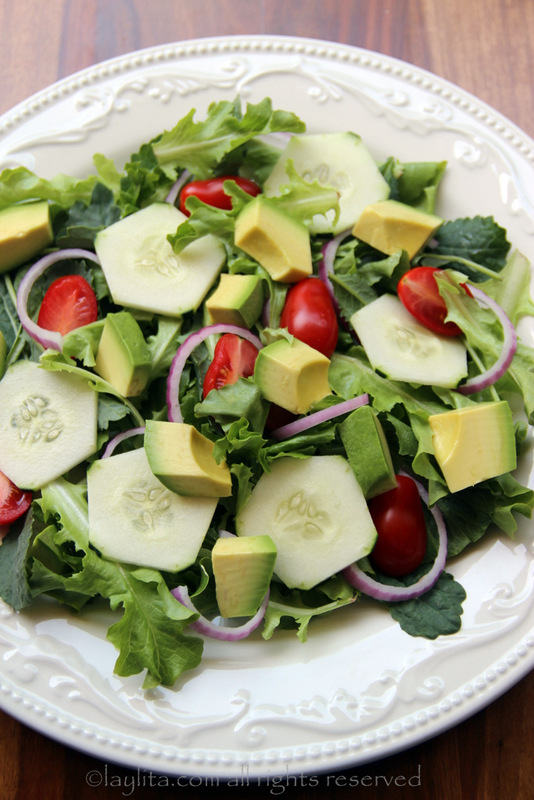 This salad looks absolute fabulous! It’s just perfect for my husband and I to have for lunch. I have a household of 5, and I always make too much chicken. So I always have a bit leftover. My husband and I are cilantro freaks too. 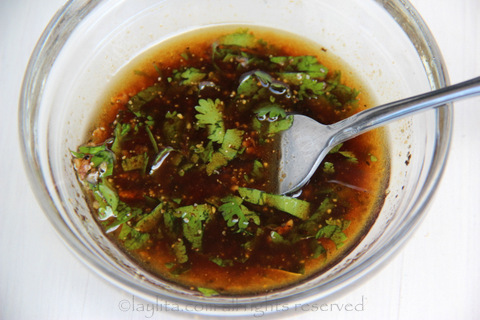 Love love love cilantro! Hi Miss Layla, I love your all your recipe.Hoping all your recipe have video step by step that i can follow all.Thats important for me Please.Thank you so much God bless you and your whole family. I am new to your blog. Found you via pinterest and I am in love with several recipe! Great stuff!